Suitors have been circling the airport since last August, when GIP revealed that it was selling the site. The auction, which was run by Credit Suisse, drew a host of bidders from the infrastructure investment world, attracted to the rare opportunity of acquiring an airport. GIP, which is also an investor in Gatwick, bought City from Irish billionaire Dermot Desmond for £750m a decade ago. Since then, it has enjoyed brisk growth, catering for 3.7m passengers in 2014, up from 2.8m in 2010. However, the new owners face obstacles to further growth. Boris Johnson, the outgoing London Mayor, has blocked City’s plans for expansion that would see the airport’s capacity rise to 6m by 2023. City is appealing his decision. The new owners must also contend with Willie Walsh, the boss of British Airways parent International Airlines Group, who has warned he will pull jets from City if airport charges are increased. BA is City’s biggest airline. CityJet, the airport’s second-largest carrier, has also voiced concerns about higher charges. The airport is popular with financiers and business travellers because it is close to Canary Wharf and the Square Mile. The Telegraph revealed last year that OTPP, Wren House, and Borealis were interested in buying City. A consortium of investors led by the Ontario Teachers’ Pension Plan said on Friday that it had agreed to buy the operator of London City Airport, which is favored by the financial industry because of its proximity to the center of the British capital. The airport, which handled flights for 4.3 million passengers in 2015, is relatively close to the City of London, the traditional home of London’s financial community, and to Canary Wharf, where many of the world’s biggest banks have their London offices. Terms of the transaction were not disclosed, but a person with knowledge of the discussions, who was not authorized to discuss the matter publicly and who spoke on the condition of anonymity, said the purchase price was more than 2 billion pounds, or about $2.8 billion. As well as the Ontario Teachers’ Pension Plan, the consortium includes the Ontario Municipal Employees Retirement System; Alberta Investment Management Corporation, a Canadian institutional investment manager; and Wren House Infrastructure Management, a unit of the Kuwait Investment Authority. The Ontario Teachers’ Pension Plan has already made investments in airports in the English cities of Birmingham and Bristol, as well as in Brussels Airport in Belgium. The £2bn race to own London City, an airport favoured by corporate executives, has been won by a Canadian-led consortium of pension funds, narrowly beating rival bids from two Chinese groups. The sale of the airport, close to the Canary Wharf financial district, ends a process started last August by its US private equity owners, Global Infrastructure Partners, people close to the matter said. The valuation has proved controversial, with British Airways, the largest airline at London City, threatening to pull most of its aircraft out of the airport if the hub’s new owner raised airline charges to cover the high sale price. Willie Walsh, chief executive of International Airlines Group, BA’s parent, told the Financial Times this month he had serious concerns about the £2bn valuation, which he called a “foolish price”. GIP bought the airport for an estimated £750m in 2006 from Dermot Desmond, the Irish financier, who paid just £23.5m for it in 1995 from Mowlem, the UK construction group. GIP owns 75 per cent of London City, with Oaktree Capital having the remainder. The deal adds to the growing portfolio of Ontario Teachers’ Pension Plan, which now owns five European airports including Bristol and Birmingham. “We own four airports, so why wouldn’t we look at London City Airport?,” Jo Taylor, Teachers’ European head, told the Financial Times last year. The consortium, which includes Borealis Infrastructure, AimCo and Kuwait’s Wren House Infrastructure Management, trumped bids from HNA, China’s aviation and shipping conglomerate, and a rival Canadian group led by pension fund PSP Investments, according to people familiar with the matter. Cheung Kong Infrastructure Holdings, controlled by Hong Kong tycoon Li Ka-shing, was also among the four groups that submitted an offer late last week. Seven miles from London’s traditional business district and even closer to the financial centre at Canary Wharf, London City has become one of the favoured ways to travel by business travellers, who account for two thirds of its traffic. Passenger numbers have doubled over the past decade from 2m in 2005 to an estimated 4.2m in 2015, despite the financial crisis. London City is in the middle of a planning battle over a £200m development that would increase the number of passengers it handles to 6m by 2023. The plans were blocked last year by Boris Johnson, mayor of London, over concerns of sound pollution. London City is appealing against the mayor’s decision. The Canadian Teachers’ fund, which has $160bn in assets, also owns the high-speed rail link between London and the Channel tunnel and the National Lottery’s operator. GIP and Ontario Teachers’ declined to comment. London City Airport’s sale to a Canadian-led group of investors at a steep premium received a cool reception from both its biggest user and the top U.K. airline, which said they won’t accept the higher fees that might be imposed to justify the price. Willie Walsh, chief executive officer of British Airways owner IAG SA, said Friday that a deal reckoned to be valued at 2 billion pounds (US$2.8 billion) could wipe out already-thin margins. While London City has increased its passenger tally by 50 per cent in five years and is the closest terminal to the U.K. capital’s financial center, it’s a fraction the size of Britain’s leading hubs, faces opposition from leading politicians and is limited in its growth prospects by a runway that can’t take full-size jets. According to people with knowledge of the matter, the winning bid, from Alberta Investment Management Corp., Ontario Teachers’ Pension Plan and OMERS, is about 44 times London City’s earnings before interest, tax, depreciation and amortization of 45.8 million pounds in 2014, the latest year with available data. No price was given when the deal was announced Friday. The average multiple for airport deals in 2014 was 17, including debt, according to aviation consults ICFI. Investment funds are increasingly willing to pay top dollar for assets offering stable long-term returns after years of low interest rates. The CityFlyer arm of IAG’s British Airways unit would most likely shift services to London Stansted, Walsh said. BA said this month that the unit would start flights from the airport 30 miles north of London — which has direct rail services to the banking district — in order to better utilize London City-based Embraer SA planes unable to operate during a weekend flight ban there. CityJet Ltd., the airport’s biggest carrier, share’s IAG’s doubts about the deal, according to owner Intro Aviation, where CEO Peter Oncken said it had provoked “some concern.” Intro bought CityJet in 2014 after Air France had struggled for 18 months to sell the unprofitable business, and said in October it would bring in 15 Russian Superjet 100s to refresh the fleet. While London City, six miles from the main financial district and half that distance from the new banking hub of Canary Wharf, is a favorite with passengers partly because of the modest size of its terminal, which means they can get from the curb to the plane more rapidly than at bigger bases, the ease of travel is partly a reflection of operational limitations. Because City was built on a quayside on the banks of the Thames its runway is so short at 1.2 kilometers that only regional aircraft can operate with a full fuel load, limiting each flight’s passenger total and range. BA operates the Airbus Group SE A318 fitted with 32 lie-flat business seats there, though must refuel in Ireland in order to complete the trip to New York. 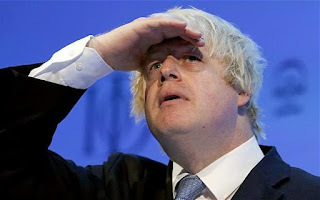 London Mayor Boris Johnson wants to limit operations at City and even close the airport on the grounds that its inappropriate for terminals to be located in urban centers because of the associated noise and air pollution. Johnson, one of Britain’s leading politicians and seen as a possible future prime minister, last year vetoed a 250 million- pound plan to add aircraft stands, an arrivals terminal and taxiway to help City make an already-authorized jump to 6.5 million passengers a year by 2023, compared with 4.32 million in 2015. An appeal is scheduled to be held shortly. London Heathrow, the capital’s biggest hub and the busiest in Europe, attracted 75 million travelers last year — or 17 times as many. The airport’s sale is expected to close on March 10, according to a statement from 75 per cent owner Global Infrastructure Partners. The Canadian-led group, which also includes Kuwait Investment Authority, had vied with China’s HNA Group and Cheung Kong Infrastructure Holdings Ltd. to acquire the facility. Opened in 1987, City was sold to Irish businessman Dermot Desmond for 23.5 million pounds in 1995 before being acquired by GIP American International Group Inc. in 2006. Reports at the time said the companies paid 750 million pounds, though terms weren’t disclosed. Two years later, AIG sold its stake to GIP and Highstar Capital, which will also dispose of its 25 per cent holding. You can read Ontario Teachers' press release, Consortium agrees to purchase 100% of London City Airport from Global Infrastructure Partners and Highstar Capital, to gain more insights on this deal. It was just a couple of weeks ago when I discussed how Canadian pensions are cooling on infrastructure. Several senior executives expressed serious concerns that the pricing of deals was becoming expensive and they needed to "stay disciplined" (seems like they're saying one thing and doing the exact opposite). I'm scratching my head trying to figure out how a consortium which includes Ontario Teachers', AIMCo and OMERS Borealis bought the London City Airport by submitting a bid which is about 44 times London City’s earnings before interest, tax, depreciation and amortization of 45.8 million pounds in 2014, according to the latest year with available data. This is just nuts and it proves my point that global pensions and sovereign wealth funds are inflating a massive infrastructure bubble. It also might help explain why Ontario Teachers' dumped $1 billion of private equity funds in the secondary market. Is London City Airport a "premium infrastructure asset"? Absolutely which is why you had Asia's richest man as well as another Canadian consortium led by PSP Investments bid on it. But even they must have been surprised by the hefty price tag paid for this airport. I know, ultra low rates are here to stay and infrastructure assets have a long investment horizon and are a better match for the long-dated liabilities of pensions, but when a consortium pays more than twice the average multiple for airport deals in 2014, it better hope this premium asset grows by leaps and bounds over the next decade because there's not much of a buffer there in case something goes wrong and it sure doesn't look like the new owners will be able to increase the charges on their airline customers. The Consortium is committed to the responsible, long-term ownership and development of London City Airport to ensure its continued strong position and reputation as a key airport for London. Working together with management and local authorities, the Consortium will support the enhancement of facilities and build on the airport's successful track record. As part of its investment, over the long-term, the Consortium is dedicated to developing existing and new airline relationships and routes, improving the airport's already excellent customer service, and generating opportunities for new and existing employees. The Consortium has proven experience as long-term owners and operators of UK and European airports, as evidenced by selected members' current ownership of Belfast International Airport, Birmingham Airport, Bristol Airport, Brussels Airport and Copenhagen Airport, and historical investments in Rome Airport and Sydney Airport. The Consortium has a strong track record of investing in and growing excellent businesses, maintaining good relationships with customers, staff, management, regulators and other stakeholders. It will definitely need to take a long-term approach to make money off this asset. What else worries me about this deal? London is in a mega bubble which will burst during the next financial crisis. High end real estate prices are already coming down fast there. And if global deflation hits, watch out, airlines will get crushed and so will London's tourism industry. I might be too critical of this deal but I think the biggest winners are Global Infrastructure Partners (GIP) and Highstar Capital. They're getting top dollar for this airport and made a killing on this deal. The Public Sector Pension Investment Board (PSP Investments) has agreed to acquire a New England portfolio of hydroelectric assets totaling 1.4 gigawatts from French gas and power utility Engie Group. The assets, which have an enterprise value of US$1.2 billion, reflect core operational merchant hydroelectric facilities located on the Connecticut River in Massachusetts and the Housatonic River in Connecticut. PSP Investments, a Canadian pension fund manager, said the acquisition fits with its strategy to leverage industry-specialized platforms. The latter include H2O Power LP, a hydroelectric power platform majority owned by PSP Investments. MONTRÉAL, Feb. 25, 2016 /PRNewswire/ – The Public Sector Pension Investment Board (“PSP Investments”), one of Canada’s largest pension investment managers, announced today that it has entered into a definitive agreement to acquire from ENGIE Group (EPA: ENGI) a New England portfolio of hydroelectric assets totaling 1.4GW for an enterprise value of US$1.2 billion. PSP Investments intends to maximize the potential benefits of combining its ownership in these premier assets with the operational expertise of its existing hydroelectric power platform, H2O Power LP (“H2O Power”). “PSP Investments is extremely pleased with the acquisition of these significant hydroelectric facilities which form an important component of the Eastern U.S. energy market,” said Guthrie Stewart, Senior Vice President, Global Head of Private Investments at PSP Investments. “The purchased assets are an excellent fit with PSP Investments’ long-term investment horizon and its strategy to leverage industry-specialized platforms, such as H2O Power,” Mr. Stewart added. The assets to be acquired are core operational merchant hydroelectric facilities located primarily on the Connecticut River in Massachusetts and the Housatonic River in Connecticut. They constitute the 2nd largest privately-owned hydroelectric portfolio within the well-developed and functional ISO New-England (ISO-NE) power market. They include the 1,168MW Northfield Mountain pumped-storage facility as well as 12 conventional hydroelectric facilities, the three largest of which represent an aggregate generation capacity of 134MW. The portfolio generates Renewable Energy Credits. Majority-owned by PSP Investments, H2O Power currently owns and operates 10 hydroelectric generating stations located in Canada and the United States, representing 170MW of power generation capacity. When I went for a haircut yesterday, I read in the Journal de Montréal that the Caisse and Hydro Québec were going to partner up on hydro power generation deals. By the looks of things, maybe Hydro Québec should partner up with PSP Investments (lots of former Hydro employees there). I don't know enough on the multiples of this particular deal to comment on pricing but Guthrie Stewart is right, this is a great acquisition and fits nicely in PSP's current portfolio. The real estate benchmark is a private real estate index adjusted for leverage. Basically, Aon constructs CDPQ’s index using IPD data for Canada, UK and France; and NCREIF for the US and they overlay a leverage threshold on top of the direct real estate return data. The infrastructure benchmark has public market beta in it which makes it tough to beat when those stocks are soaring. Both these benchmarks are very tough to beat. It's also worth noting that while the Caisse's Infrastructure group is underperforming its benchmark over the last four years, it trounced it in 2015, returning 6.6% vs -5.1% for its benchmark (too much public market beta in that benchmark!). "AIMCo’s infrastructure benchmark had same cyclical issue when I was there. I believed it was the right thing in the long run but uninformed criticism can be punitive in the short run if the cycle does not match compensation horizon." Benchmarking private equity, real estate and infrastructure isn't easy but as pension funds increasingly shift their asset allocation to these alternative investments, we need to understand how they benchmark these asset classes to determine their compensation. On that note, I'm taking a much deserved break from markets and pensions to spend time with my beloved. I will return Monday, March 7th to resume my blogging. You can follow all pension news at the top right hand side where I provide links to various sites like Pension360, Pension Tsunami or Google pension news. Lastly, please remember to kindly donate and/or subscribe to this blog and show your appreciation for the work that goes into it. It's a thankless job but I keep plugging away so please contribute to support my efforts. Thank you and if you're taking a break, enjoy your time off. Below, a terrifying moment when a plane had to abort a landing at London City Airport because gale force winds caused it to bounce off the runway. I hope the brutally cold chill of deflation doesn't sink this mega deal for London City Airport, especially since this consortium led by three top Canadian pensions paid an outrageous premium for it. Oh well, so much for Canadian pensions cooling on infrastructure, that lasted about two weeks. But at least this asset has a very long investment life, giving the consortium plenty of time to think about how it's going to make money on this deal.